No matter whether you’re trying to watch your weight, or simply ensuring you get your five portions of fruit and veg a day, we have rounded up the best gadgets and gizmos that deserve a place in your kitchen this year. 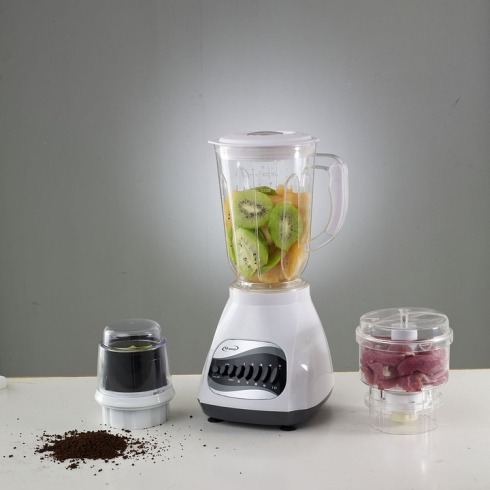 Something such as the nutri ninja allows you to easily blend together your favourite ingredients to make a delicious smoothie or juice. Thanks to the portable cups there is no pouring involved either, you simply take your smoothie from the machine with absolutely no mess. Traditional food steamers involve a tiered system, where the top food takes longest to cook and inevitably drips onto the tiers below. Morphy Richards have flipped that idea on its head with their Intellisteam food steamer. The steamer has several compartments that are controlled separately to make sure everything finishes at the same time, and there’s no contamination between the separate steam compartments. This is not a new product, in fact tupperware has been around for a very long time. However this is not Tupperware as you know it, Wowzr have created airtight food containers that stack flat and collapse without food in. This means that you can keep your food fresh, take your lunch to school or work, and collapse the containers back down for super simple storage once you’re finished. Made of silicone and BPA free, they’re completely safe and pretty much impossible to break. Drop are bringing recipes to life. It is essentially a scale that links to an app on your tablet or phone, which follows along the recipe as you cook. It can scale recipes depending on the volume of ingredients you have, taking the tough work and calculations out of baking and cooking. It also provides substitutions for any ingredients that you do not happen to have around the home. Just in time for summer comes an ice cream scoop with a twist. Without requiring batteries or electricity, the Scoop That scoop makes dishing out ice cream a breeze. Using heat transfer principles, the scoop draws heat away from the head of the scoop, slightly melting the ice cream just enough to ensure that you can cut through it like butter. The scoop uses a biodegradable liquid in the handle that is self-replenishing, meaning that with good care the scoop should last forever, so you can carry on creating the perfect scoop of ice cream again and again.